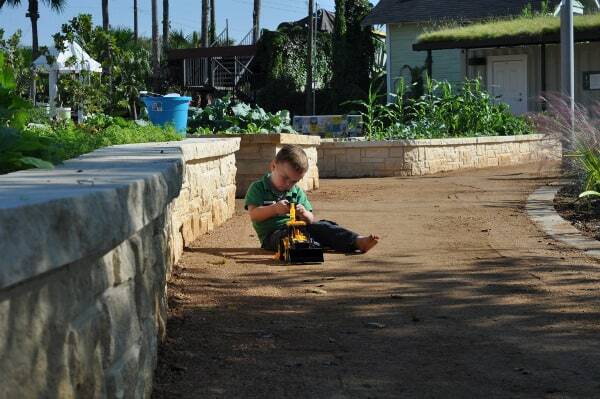 Home»All»Things to do in Montrose, with kids! Montrose is my part of town. I live in a tiny little house that is overflowing with kids so I can stay in this great neighborhood. And I’m not the only one… 7 years ago (now 10 years ago) I had the only kids on the block… today the street is full of young families. Look below for the best things to do in Montrose with kids, plus a map… Also check out part of One Square Mile Texas: Montrose PBS Series at the end of the post! 1. 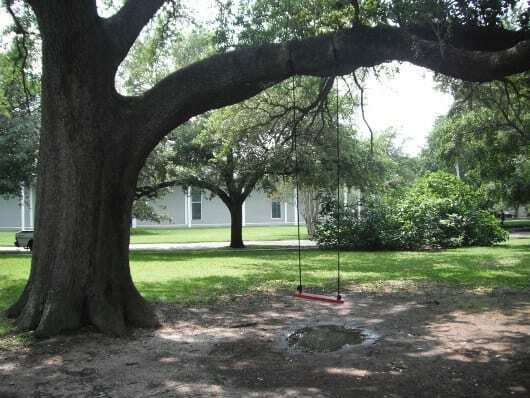 Menil Park – This tree climbing park has a lone red swing. There is no other playground equipment, but it’s a big inviting lawn surrounded by old oak trees, a sculpture and the Menil Collection and Rothko Chapel next door. Bring a picnic or just come to run and climb. 3. 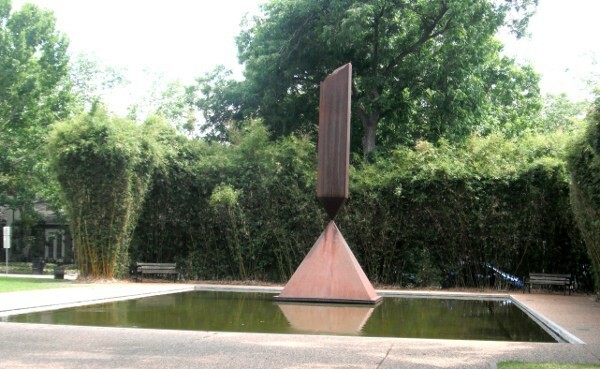 Rothko Chapel – Right near the Menil is a quiet place for reflection. Sit on the benches by the reflecting pool or venture inside. 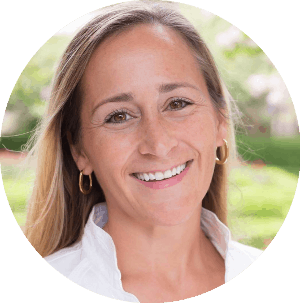 Kids need to be quiet, but are welcome to sit inside and add some calm to their day. This venue is also free. 4. 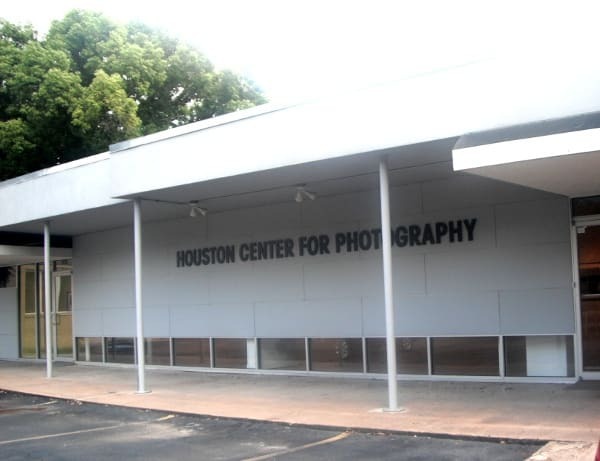 Houston Center for Photography – Just one block north of the Menil and Rothko Campus is the Houston Center for Photography. This exhibit is free and changes frequently. Stop in with the kids… and then go back on your own and they’ll teach you to use your fancy camera. 5. 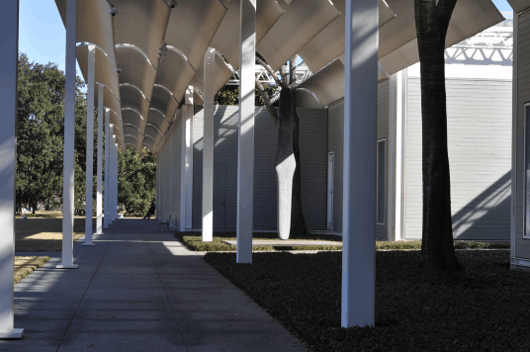 University of St. Thomas – Just a couple blocks east of the Menil Collection is the University of St. Thomas. Strollers can be seen frequently on this small campus. Find the labyrinth by the church and let the kids wander through the maze! 6. Houston Public Library – Keep on walking towards Montrose Boulevard and you’ll find a quaint little shopping center with the Black Lab Pub and the Houston Public Library. The outside of the library is super cute… and the inside needs a renovation. Still it has a kid section on the first floor and the coolest little FLIP Kits to take home. 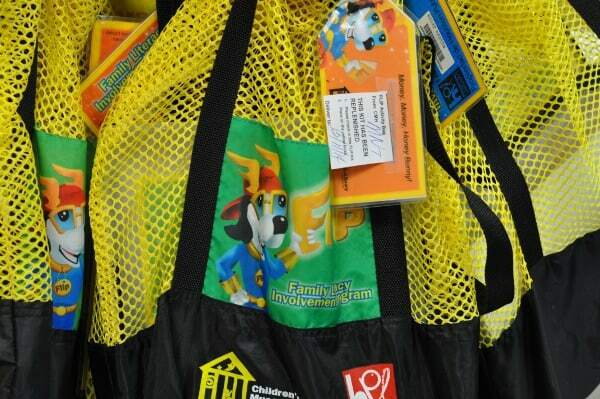 Get your library card and check out these age-specific bags with books and activities for the family. 7. 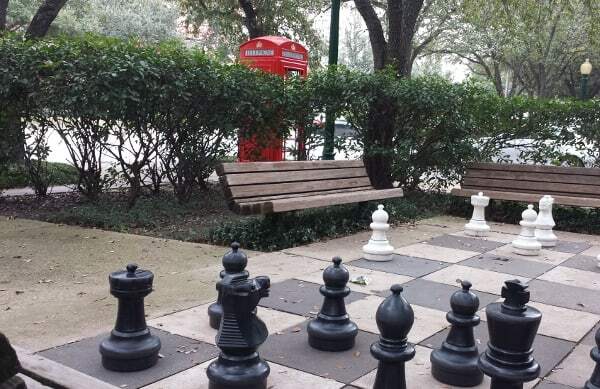 Black Labrador – Right next to the library is the Black Labrador Pub… and their giant outdoor chessboard. 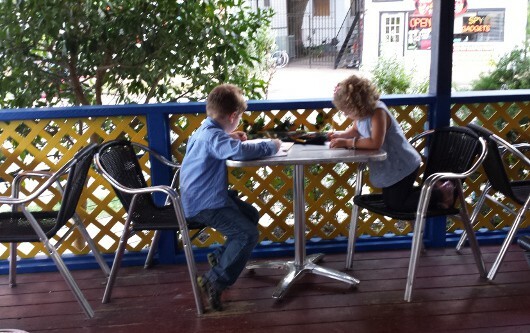 The pub is kid friendly and you can grab a bite to eat while you play a game with your little chess fanatic. 8. 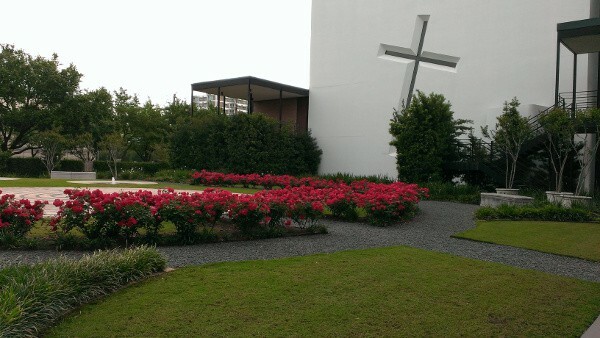 Mandell Park – Back past the Menil Collection and across Richmond Avenue is the newly renovated Mandell Park. (Richmond is a busy street, so you might want to drive across.) Wonder through the paths and organic gardens. Bring a picnic or a few trucks to make your own fun. 9. 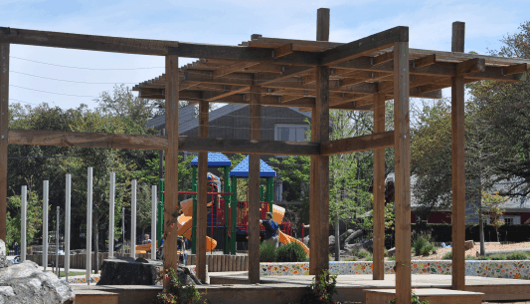 Ervan Chew Park – Just one block from the Mandell Park is the playground and splashpad park! This is where the kids go for fun. The water is on all year and can be turned on by pushing a button. The playground equipment is under the shade of huge oak trees and is fun for big and little kids. Here you can also find a dog park, basketball hoop and baseball diamond. 10. 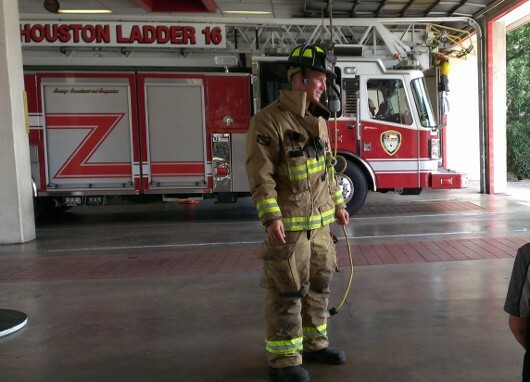 Houston Fire Station 16 – Right back across Richmond is Fire Station 16. Bring your homemade cookies, or stop by the HEB next door. Usually if you bring by some goodies… and they have some free time… the fire fighters will let the kids sit in the truck and try on the hat! 11. Find more parks! Just a long walk or short drive away is Cherryhurst Park, Wilson Spark Park and Fleming Park. 12. Find more places to eat! El Pueblito is right next to Mandell Park and has a patio full of cabanas, Oui Banh Mi has now opened, and Mia’s Table is a short drive away. Thanks for this article! I definitely want to check out the water park. I’ve been looking for one since we moved here from NYC. Great! For even more, go here: http://www.bigkidsmallcity.com/2014/05/what-houston-splashpads-do-you-recommend-you-asked-us/ Houston has a lot of splashpads!